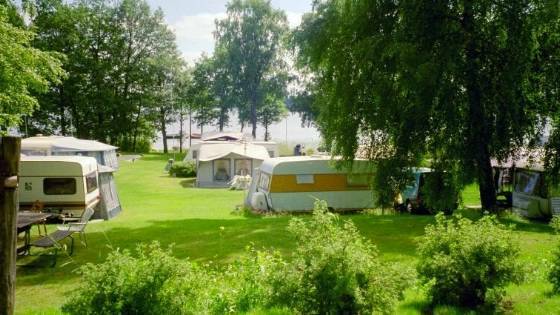 Vallsnäs Camping is a scenic campsite by Lake Unnen about 2 km from Unnaryd.The campsite is beautifully situated out on a cape, where you stay close to the forest and the water in untouched wilderness. You will stay in an old listed cultural settlement with many fine excursion destinations. 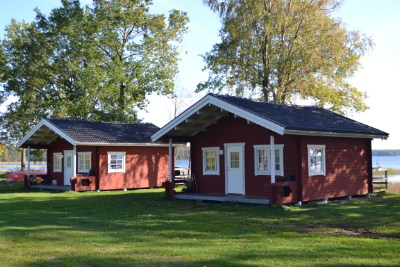 the Bonads Museum in Unnaryd, the School Museum in Slätteryd, Brunnsbacka Saw-mill, Tiraholm fish smoke-house are just a few examples. It?s only a 40-minute drive to to the wild-west town of High Chaparall. Weather permitting, you can also take a fantastic canoe or boat trip ? it?s your choice. If you are looking for fantastic views of Lake Unnen then we have the cottage for you. 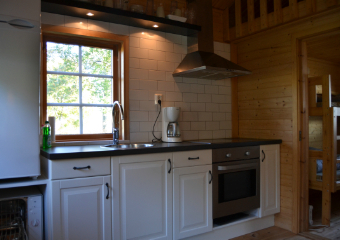 Our top modern cottages have fully equipped kitchen, WC/shower, dishwasher, etc. and are only 10 metres from the lake. 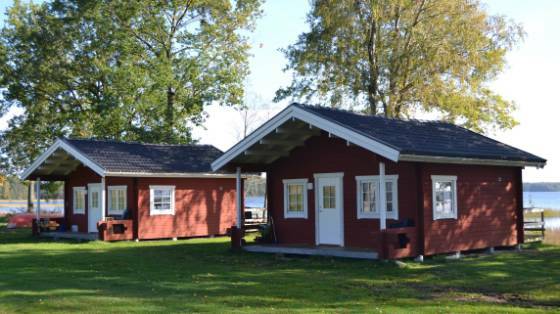 The cottages have 6 beds with separate bedrooms. We also offer more basic cabins with 2-5 beds. 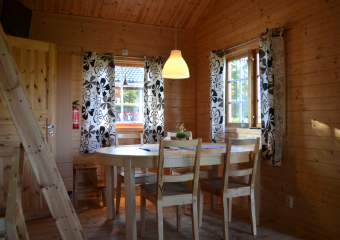 There are cottages with 2-5 beds.The cottages have a kitchenette with coffee-maker, fridge, table and chairs. The newest cottages have WC and shower. 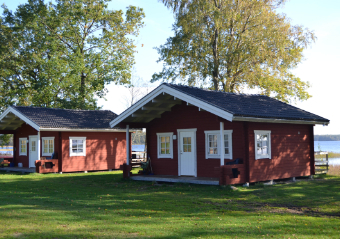 The service building is approx 40 m from the cottages. 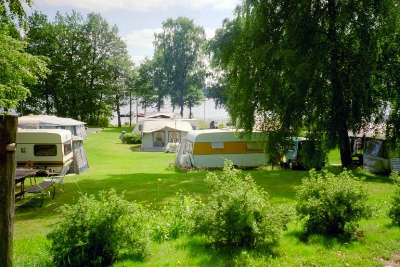 Vallsnäs campsite is beautifully situated by the lake approx. 2 kilometres from Unnaryd. 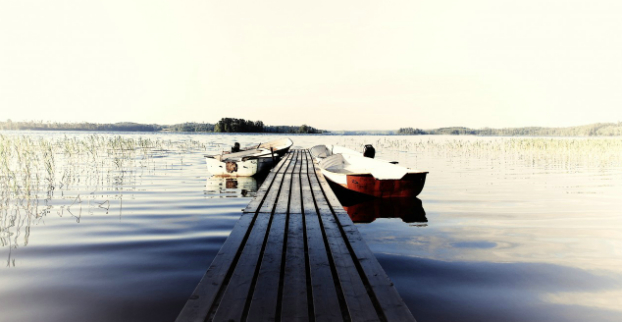 It is possible to swim, rent canoes and boat, hike in the forest or just relax in the peaceful surroundings. 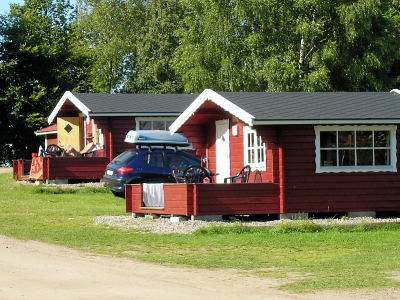 Vallsnäs campsite consists approx. of 100 camping pitches with electricity.